Don’t let the grass grow under your feet. 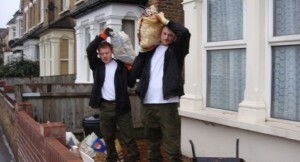 When it comes to getting rid of your builders and DIY waste in E9 you need Away With It! We supply builders waste removal Homerton home owners and businesses can count on for flexibility, quality and convenience at an economical price. We’re fully licenced waste carriers, meaning you can be confident that your DIY and builders waste will be properly disposed of. We also work hard to reuse or recycle 80% of the waste we handle in Homerton E9. So by choosing us, you’re doing your bit to save the planet too! Our friendly, uniformed, two person teams work right across Homerton E9 seven days a week, from 7am till 11:30pm. 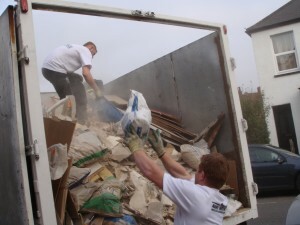 n the vast majority of cases we can offer a same-day collection service. Just call us up, and we’ll give you a two hour timeslot for us to collect your waste. An hour beforehand we’ll call you to confirm our arrival time so you’re not left hanging around. We offer a free of charge, no obligation quote based on the space your DIY and builders waste will use in our van. The quote will include all labour, transportation and disposal fees so there are no nasty surprises at the end of the job. If you think our quote is fair, we’ll arrive at the appointed time, remove your waste, and even give your home or premises a sweep and tidy after we leave. It couldn’t be easier! Want to find out how much time, money and hassle we can save you? Call us on 0208 504 7390 or 07957 123019 to arrange a consultation. 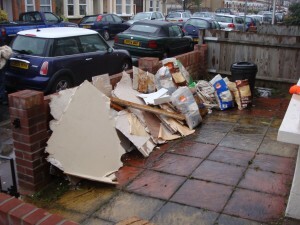 Our experienced team will be happy to discuss your requirements for builders waste removal Homerton and recommend the perfect solution for your situation. Or for a quick and easy quote why not make use of our simple online form?